Download on the App Store or Google Play Store today! Note: By clicking the links above you will leave the Senior Care Plus website. With the new myHometown app, you can now access your benefit information at the touch of a button. 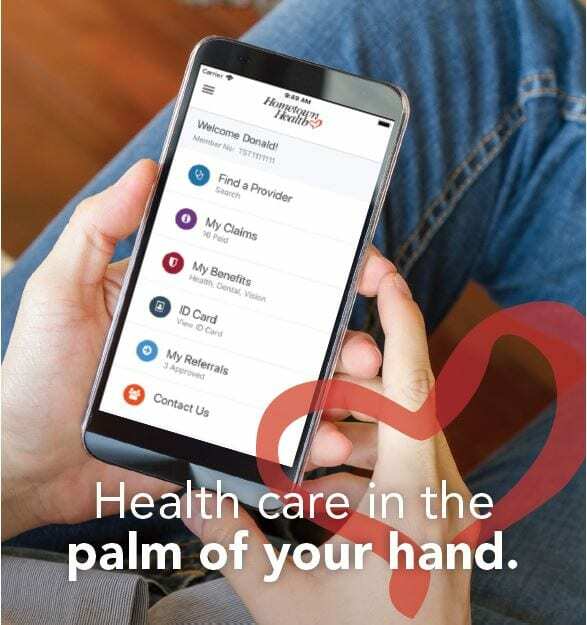 The app provides Hometown Health and Senior Care Plus members 24/7 centralized access to: benefits, referrals, provider search, claims, authorizations, and member ID cards. Plus it features fingerprint and facial recognition technology to keep your information safe and secure.